Crews are working to get traffic moving back to normal after a vehicle on its side has blocked all southbound lanes of US 501. HORRY COUNTY, SC (WMBF) - Crews are working to get traffic moving back to normal after a vehicle on its side has blocked all southbound lanes of US 501. US 501 Southbound: at Cox Ferry Road-Conway. An Horry County Fire Rescue spokesperson says no victims suffered serious injury as a result of the crash. 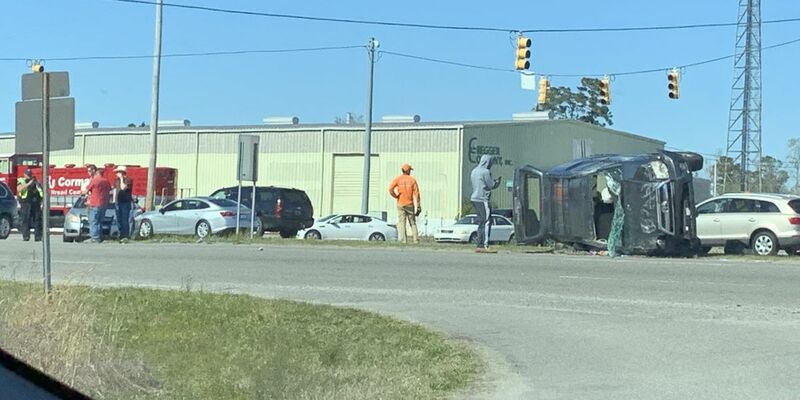 Drivers on the scene tell WMBF News traffic is being detoured into Cox Ferry Road and through a nearby Waffle House parking lot. WMBF News will continue to update this developing situation.